This week on the Sounds of The 70s it’s “The Hits from this Week in 1978 & 1979” with Dan Varroney today at 7:00 am ET at http://www.radiomaxmusic.com. 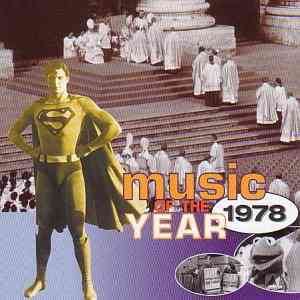 We’ll feature, Andy Gibb, A Taste of Honey, City Boy, Bob Welch, Cars, Robert Palmer Jackson Browne, Bill Labounty, Jefferson Starship, ELO, Cheap Trick, Eddie Rabbit, Heatwave, Eddie Money, John Stewart, Donna Summer, and so much more. 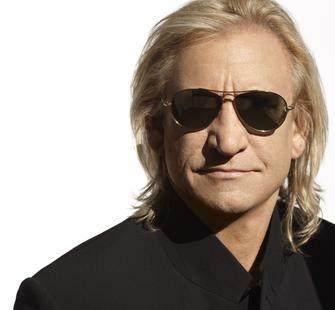 Joseph Fidler “Joe” Walsh (born Joseph Fidler; November 20, 1947) is an American musician, songwriter, record producer, and actor. He has been a member of three commercially successful bands: the James Gang, Barnstorm, and the Eagles. He has also experienced success both as a solo artist and prolific session musician. He holds the number 54 spot in Rolling Stone magazine‘s “100 Greatest Guitarists of All Time. Walsh has produced albums for artists such as Dan Fogelberg and Ringo Starr. He was a background musician (1st guitar solo) on Eagles bandmate Don Henley’s 1982 hit “Dirty Laundry” (listed as such in the liner notes of I Can’t Stand Still and Actual Miles: Henley’s Greatest Hits). Walsh played guitar throughout Who bassist John Entwistle’s 1981 solo album Too Late The Hero. Walsh has also contributed to albums by: America, REO Speedwagon, Andy Gibb, Wilson Phillips, Emerson, Lake & Palmer and Steve Winwood, and on the Richard Marx hit “Don’t Mean Nothing”. Onscreen Walsh has appeared in: The Blues Brothers, RoboCop, Promised Land, The Drew Carey Show, Duckman, MADtv, Rock the Cradle and Zachariah. On February 12, 2012, Walsh appeared on stage with Paul McCartney, Bruce Springsteen, Dave Grohl, and McCartney’s band at the Staples Center in Los Angeles to close out the Grammy Awards show. Walsh was a regular guest deejay on the Los Angeles radio station, KLOS during the mid-1980s. They had a Saturday evening feature, with celebrity guest-hosts taking over the mic (Walsh was the guest host far more frequently than any other). He was also a frequent guest and guest-host of Detroit & Chicago radio personality Steve Dahl.